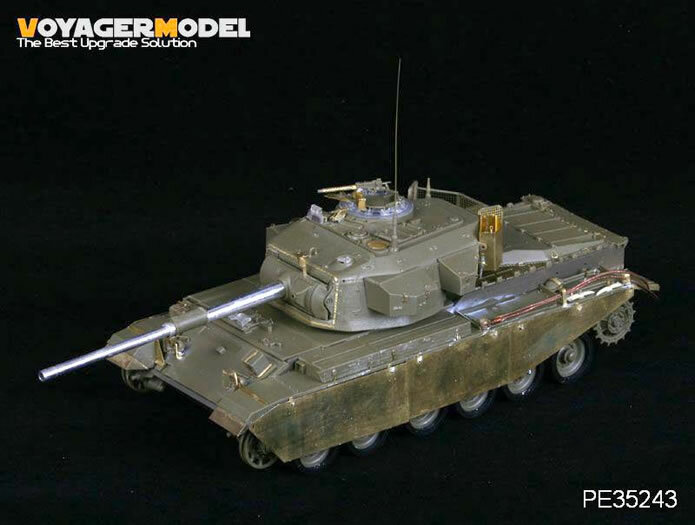 This year, IDF modellers were finally treated to an all-new kit of the long-awaited Shot-Kal. 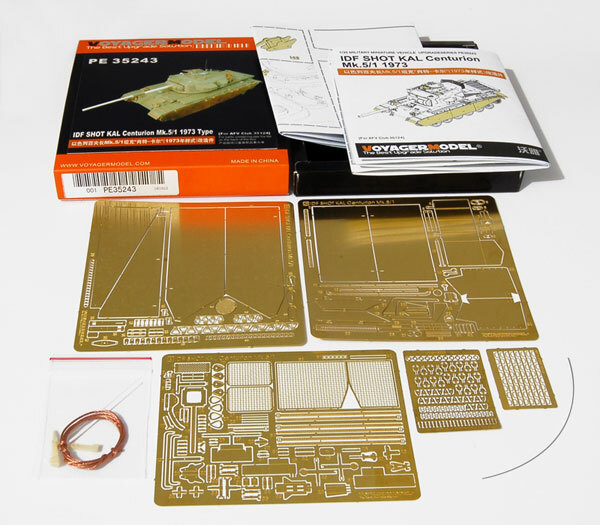 The base kit by AFV Club (35124) is an excellent production on it’s own that contains a turned metal barrel and a small etched fret – even a resin stretcher! This new upgrade set from Voyager will take your Shot-Kal to another level. The high-quality etched parts are spread over 5 frets and are extremely comprehensive and beautifully produced. All of the finer, moulded-in details on the kit are replaced with etched parts. Items like tool clamps, various mounting brackets, hinges, locks and lifting rings are all included in the set. Front and rear mudguards are replaced along with the headlight mounting brackets and jerry can mounts. The level of detail provided by this set is astounding. For example, the mounting hardware for the tow cables is made up of no less than 24 pieces! The turret also gets the treatment with fine mesh provided for the main basket. Again, all of the finer hinges and clamps on the turret are replaced with etched parts. The turret-mounted .30cal receives a new cooling jacket and a beautiful ammunition box, folded up from 6 pieces. An etched .30cal ammo belt is also provided (I am not a fan of 2D ammunition). 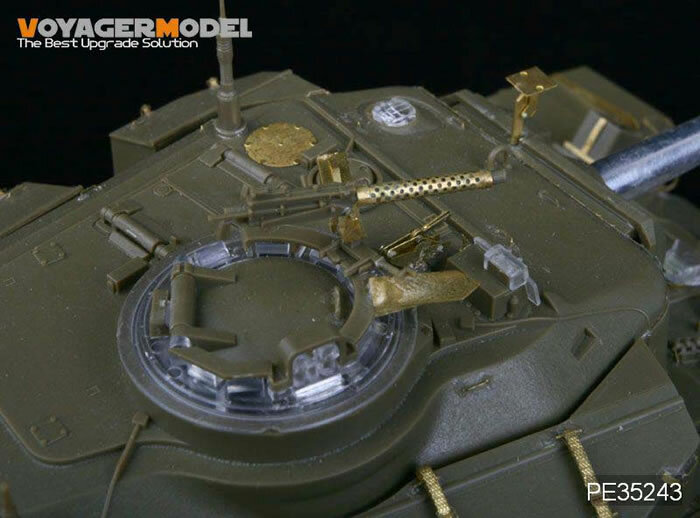 Lastly, all of the tank’s side armour is replaced with large etched parts. In addition to the photo-etched frets, the set contains 2 resin picks, a small length of fine-gauge wire for the various PE hinges, a length of new tow cable (not as good as Karaya cable though), and a couple of pieces of styrene rod to form the hatch springs. This is a brilliant upgrade set for the AFV Club Shot Kal. 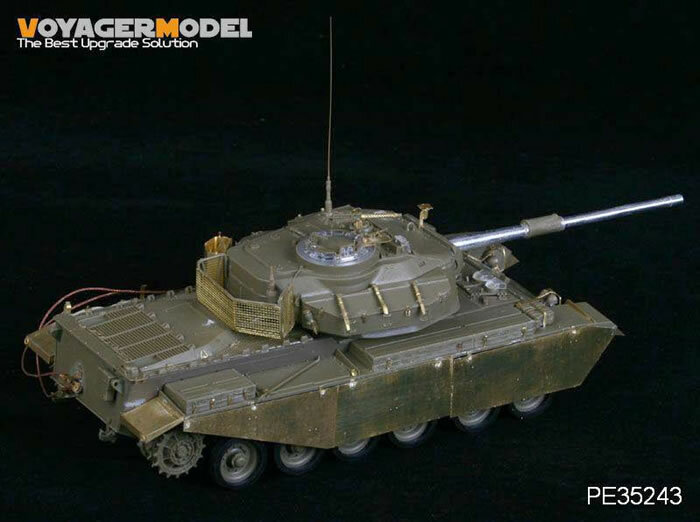 With a little patience and care, you will end up with a beautifully detailed model. Highly recommended for experienced modellers.